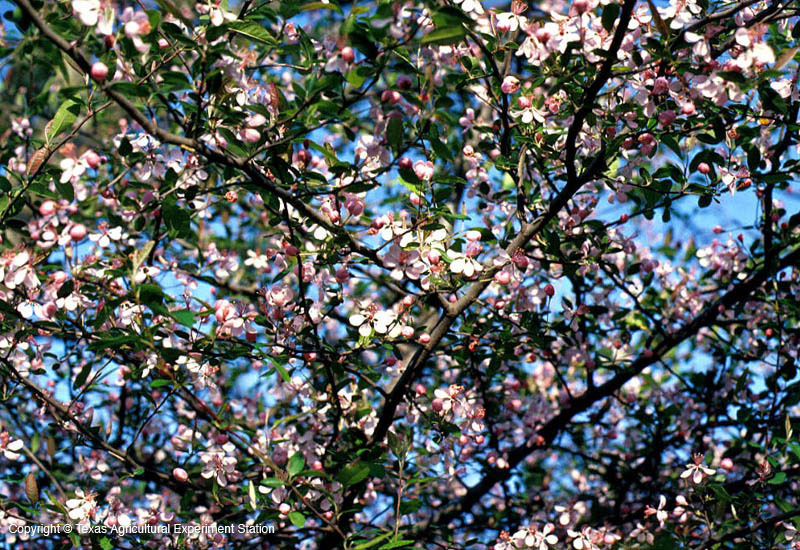 Prairie crabapple grows on limestone soils in the Edwards Plateau in central Texas, forming thickets from underground rhizomes on stream banks and canyons. The buds are a glowing pink, opening in April to May to sweet, fragrant soft-pink flowers that fade to pure white. The fruit are little green to greenish-yellow crabapples that mature in early fall. They are so tart as to be inedible (to humans), but are sometimes made into jellies.